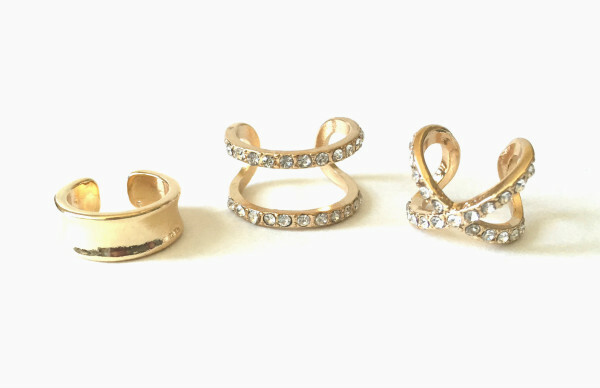 Tags: infinity ring, midi ring, rhinestone, rings, stackable. 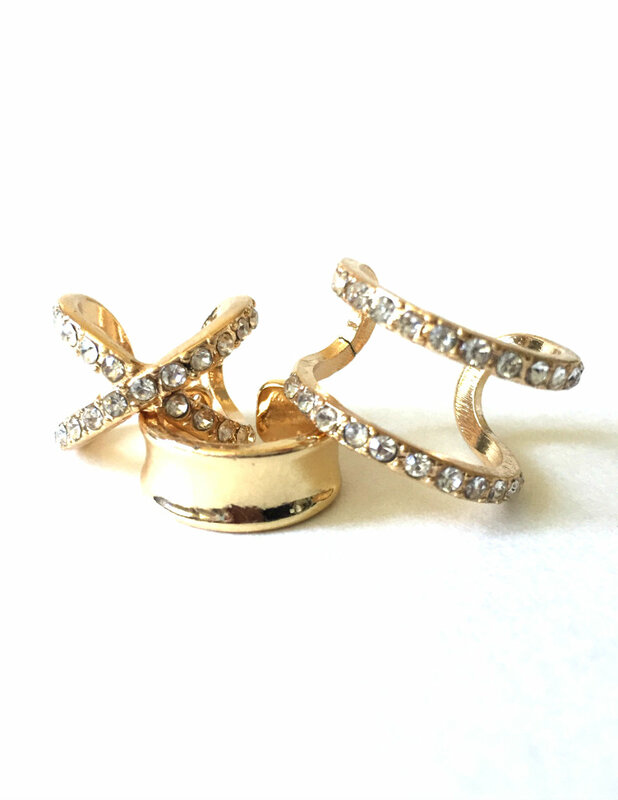 Show off some sparkle with this set of rhinestone gold colored rings. 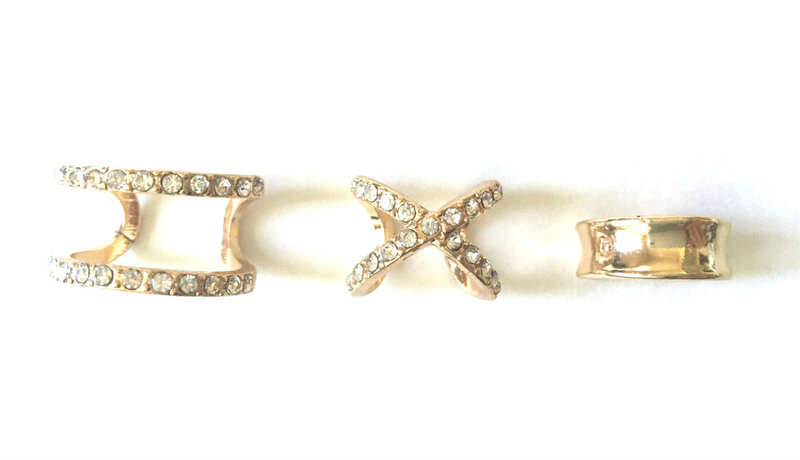 Wear it on your thumb or as a midi ring, this cute three ring set includes a rhinestone infinity ring, a two-bar rhinestone stackable ring, and a solid gold tone midi ring. Comes in gold only.